In the moment when those around him were counting down the final seconds toward winning a national championship, John Redman found himself counting his blessings. The Dalton State (Georgia) assistant basketball coach, who had experienced the greatest loss of his life only months before, was on the verge of his greatest professional victory — all at the age of 25, all in the span of just less than a year. And as is often the case, he was thinking of Brittany. Getting better is not something Redman takes lightly, not after all he has gone through — all he has won and lost — in what seems to him a fast-forward video of the past year of his life. Tuesday marked the one-year anniversary of the day he and his fiancee’, Brittany Huber, were involved in a one-car accident as the couple drove from Dalton to Mobile for their scheduled wedding. A tire on Redman’s car blew out as they drove on Interstate 85 in Newnan, just south of Atlanta. The car hydroplaned and slammed into a concrete support for an overpass. Huber, just 24 years old, died instantly. Redman suffered major head trauma (including 21 skull fractures), five broken ribs and numerous other injuries. It wasn’t known whether he would survive. Yet just a month ago there he was, climbing a ladder underneath the goal in Kansas City to cut down the nets in celebration of the team’s championship. “It feels like yesterday that I was in the hospital; it seems like yesterday that I got back here (to Dalton). It seems like yesterday that we were leaving for our wedding. It’s been a long year, but it’s going to get better. It can’t get any worse, so it’s going to be better,” Redman said, reflecting on the year since losing Brittany. Basketball was the backdrop in John’s and Brittany’s lives. It brought them together — he coached her brother Michael’s AAU basketball team and the first time he saw her was at a game she attended — and it took them to Dalton State, where John was hired right after graduation from Spring Hill College. After the accident, with Brittany gone, basketball was a daily life raft for Redman, who immersed himself in his job to keep from dealing with her absence, to keep from hearing the same question echo in his thoughts: Why? Basketball saved Redman in many ways, providing him enough of a distraction to allow him to grieve at a pace that wouldn’t overwhelm him. The winning helped too; he had experienced enough loss. Still, the house in Dalton is a place he couldn’t force himself to leave either. Redman had to get past some guilt to reach that point though. The Hubers and Redman talk often each week. The Hubers attended some Dalton State games and Redman visited them in Mobile, including on the occasion of what would have been Brittany’s 25th birthday on Oct. 31. Immediately after the accident Redman was taken to Grady Memorial Hospital where he remained for almost a month. He was later transferred to the Shepherd Center, a facility in Atlanta that specializes in the treatment of spinal cord and brain injuries. It was there he began showing great improvement. And it was there he learned Brittany had died. Doctors at the Shepherd Center told family members and others not to mention Brittany’s death to Redman until it was believed he would be best prepared to handle the news. When the time came, Mike Huber, a physician himself, asked to be allowed to be the one to tell Redman. Huber will never forget that night. “It was very difficult,” he said. “[Redman had] started improving and asking repeatedly of his brother (Ben), who was there with him, where Brittany was and what was going on. His brother had been instructed not to say anything … As he progressed they said they thought it would be OK. The psychologist met with us and said I could tell him. Redman said he talks to the Hubers at least twice a week. Tuesday, he was in Mobile to be with them and other family members as they gathered at Brittany’s grave on the anniversary of her death. Robert Thompson liked John Redman right away. 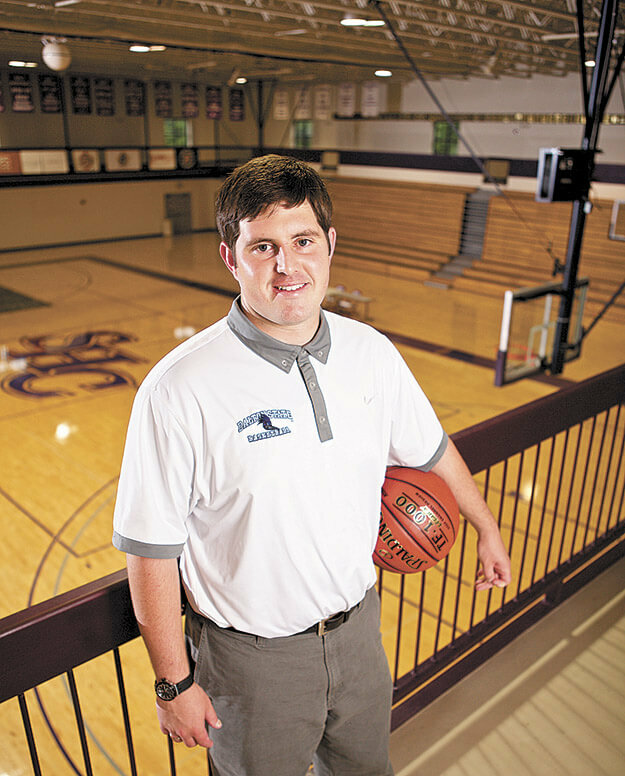 The former Spring Hill College basketball coach recruited Redman during his senior season at Spanish Fort High and was drawn to the player, not as much by his basketball abilities as by his presence. A foot injury after one season at Spring Hill led Redman to make a decision — he asked Thompson if he could be the team’s manager. He told Thompson he wanted to be a coach and that the change would allow him to gain knowledge toward that aim. Thompson agreed and Redman took on the task and made it much more. The first year he took over the team’s weight-training program, earning a weight-training certificate on his own and applying the knowledge to the team’s training. The following year he asked Thompson if he could help with the team’s academics. Redman called several Division I head coaches, asked how they handled that aspect of their jobs, then used that information to create his own plan. “It was brilliant,” Thompson says today. The following year, he asked if he could accompany Thompson on recruiting trips to learn first-hand how to deal with recruits. Thompson was fired as Spring Hill’s coach after Redman’s senior year and the two men attended the Final Four together. Dalton State head coach Tony Ingle approached Thompson and said he had an opening for an assistant coach on his staff. 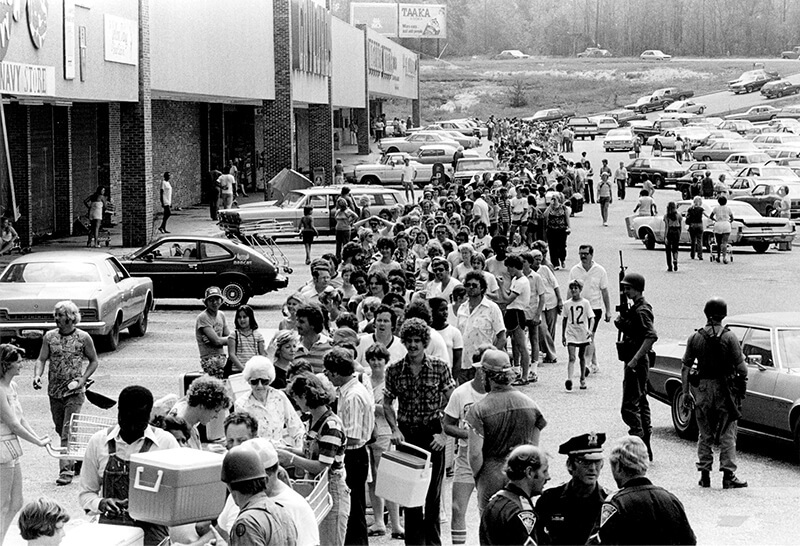 Thompson said he wasn’t the right person for the job, but he knew someone Ingle should talk to — John Redman. Thompson wasn’t surprised. After all, he saw the qualities in Redman needed to make it through such an ordeal back when Redman was in high school. “I’ve said since way back he’s a fighter and I wouldn’t bet against John Redman in anything,” Thompson said. University of Mobile head coach Joe Niland, who has known Redman for several years, has another word for the young man’s recovery. With the basketball season over, Redman now turns his attention to recruiting players for next year’s Roadrunners team and the task of attempting to successfully defend the national championship. Redman, too, will be taking steps toward the next phase of his life. He’s also celebrating his own graduation — from the Shepherd Center. He flipped through his cell phone showing photos of the therapists and doctors and family members at his “graduation” and the smile he wears is genuine, one that seems more comfortable and easily called on these days. John Redman moves to the next chapter of his life with a greater respect for that life, a greater recognition of the power of love and family and friendships and the desire to share those things with those he meets. He said he will make those next steps, wherever they lead, with the strength of memories that will remain with him forever.